Bundle deals at the ISU Extension Store! The new crop season is right around the corner, and we want you to be prepared! Two publications have new bundle discounts—the Weed Identification Field Guide, 2nd Edition, and the new Corn and Soybean Field Guide, recently published in fall 2016. 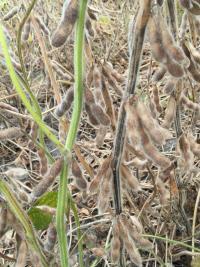 Several soybean diseases have become noticeable after recent rainfall across the state.